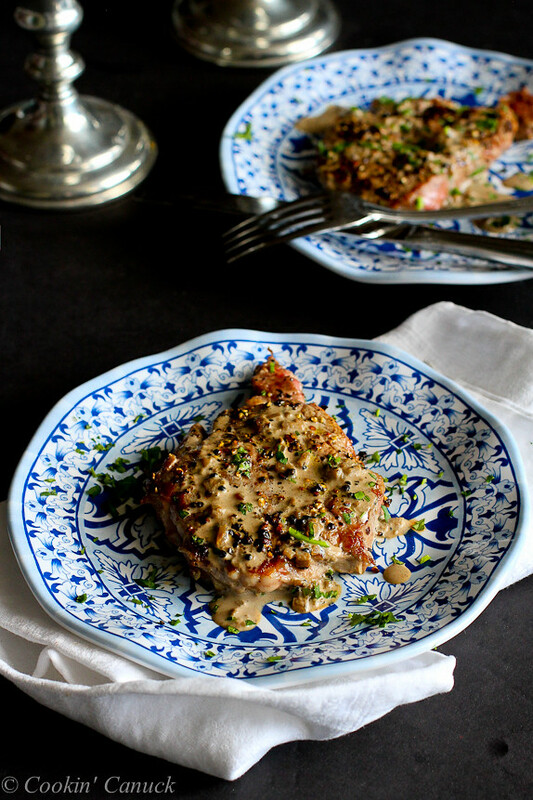 These classic steak au poivre are lightened up and beyond tasty! The Brandy sauce turns them into something memorable for any special occasion. Thank you to QSquared NYC for helping me to share this recipe with you. It may have been almost 20 years ago, but I remember that night like it was last week. It was July 4th and I had moved to New York City just one month before. The heat and humidity that summer was stifling and Steve (then boyfriend, now husband) and I moved between air-conditioned coffee houses and restaurants to keep cool. For dinner, we ducked into our favorite casual French restaurant in SOHO. The escapes me, but the warm lighting, steak au poivre and steak frites sit comfortably in my memory. But it’s not the ambiance or steak au poivre, but rather what happened afterwards, that stays in my mind. A dimly lit bar, a glass of wine…all leading to that moment when we told each other for the first time that we loved each other. It didn’t matter that we had been dating for just a few weeks…we just knew. This meal takes me right back to those days. 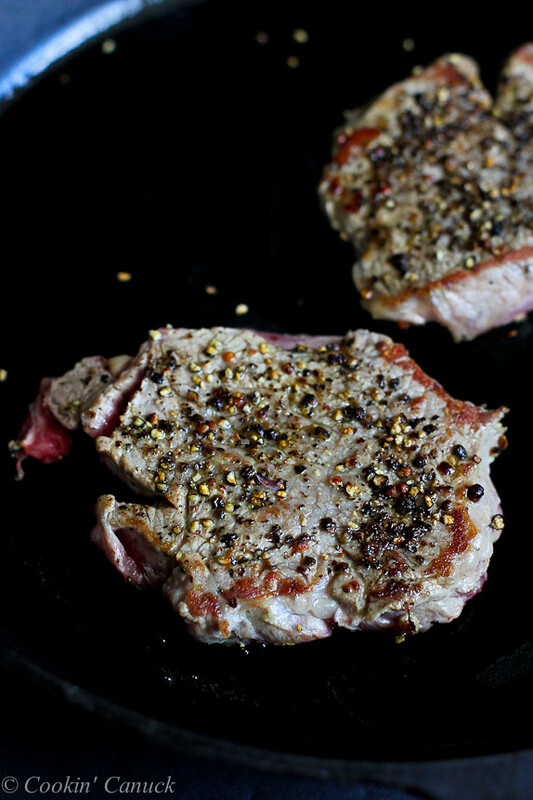 Steak au poivre is typically made with filet mignon, but I opted for cheaper rib eyes in this recipe. We don’t eat a lot of red meat and I’m not sure that our stomachs could take a larger, thicker portion. Besides, the rib eyes were on sale at the supermarket. Bonus! For the sauce, the traditional ingredients are Cognac and heavy cream. But you know me – I like to keep things light, so I opted for a splash of half-and-half instead of the cream. I considered using fat-free half-and-half until I realized that it contains corn syrup. So, even if this isn’t the healthiest meal to eat on a regular basis, life is about moderation and this is great for an indulgence once in a while. Cognac is a type of brandy that meets certain regulatory requirements, such as being made from certain grapes grown in the region of Cognac and being aged in specific French oak barrels. There is a taste (and price!) difference between the two, but brandy will work well in this recipe. Look at me, saving you money all over the place! I served the steaks on our beautiful QSquared NYC plates. The colors and pattern of their new Talavera Collection are stunning. The steaks were made to be sitting on these vibrant plates! And that’s very good news, so I plan to use these BPA-free melamine plates (that’s right…unbreakable!) plenty of times during the summer when we’re grilling. Their other new collections, Hampton Toile and Cambridge Rose would be great for entertaining, too. Since you will be adding alcohol to a very hot pan, be sure to remove the pan from the heat source when pouring in the brandy. Nothing ruins a meal more than singed eyebrows or a kitchen fire. The sauce comes together in a flash, so be sure that the rest of your meal is ready before making the sauce. Otherwise, the sauce will start to thicken (and not in a good way) in the pan. 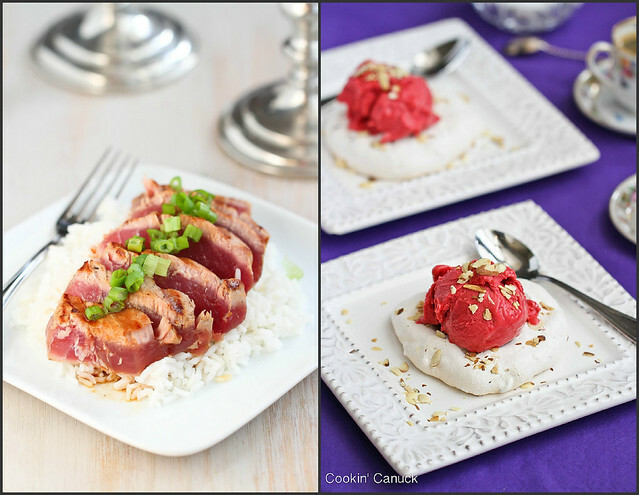 This recipe is for two – think Valentine’s Day or an anniversary – but can easily be doubled. If you want to learn more about QSquared NYC and see some of their amazing collections of dishes (plenty of different patterns), check out their site, or follow them on Facebook, Pinterest or Instagram. 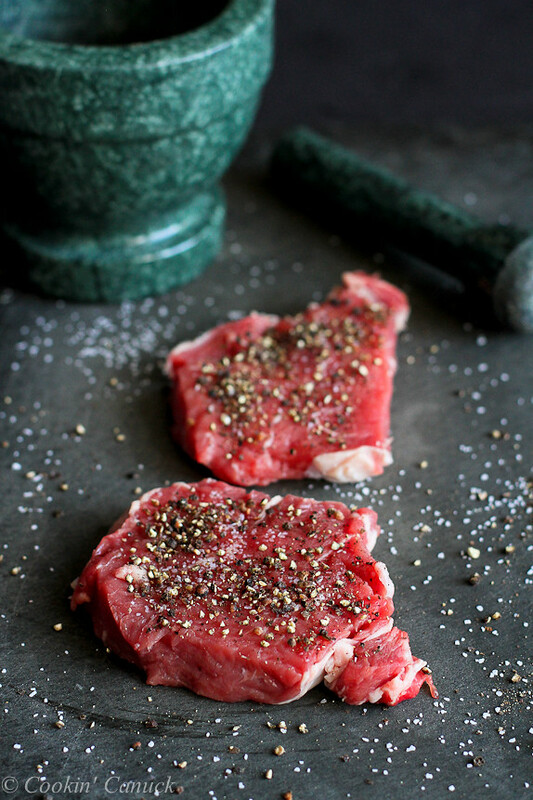 Place the steaks on a cutting board and press ¼ teaspoon of the salt and the crushed peppercorns into the steak (on both sides). Heat 2 teaspoons olive oil in a large cast-iron skillet. Add the steaks and cook until done to the desired degree, about 2 minutes per side for rare. Transfer the steaks to a cut board and let rest. Reduce the heat to medium and add the remaining 1 teaspoon olive oil to the skillet. Saute the shallots for 30 seconds. Remove the skillet from the heat and pour in the Brandy. Return the skillet to the burner and whisk in the half-and-half. Whisk until the sauce is slightly thickened, about 1 minute. Serve the steaks with the sauce and garnish with parsley. Disclosure: This post is sponsored by the good people at QSquared NYC. All opinions are my own. Looks cooked perfectly, Dara. Love Q Squared dishes, too, and their new patterns! If I made this for my hubby, I would be the best wife ever! It looks incredible! Loved your story with this post. 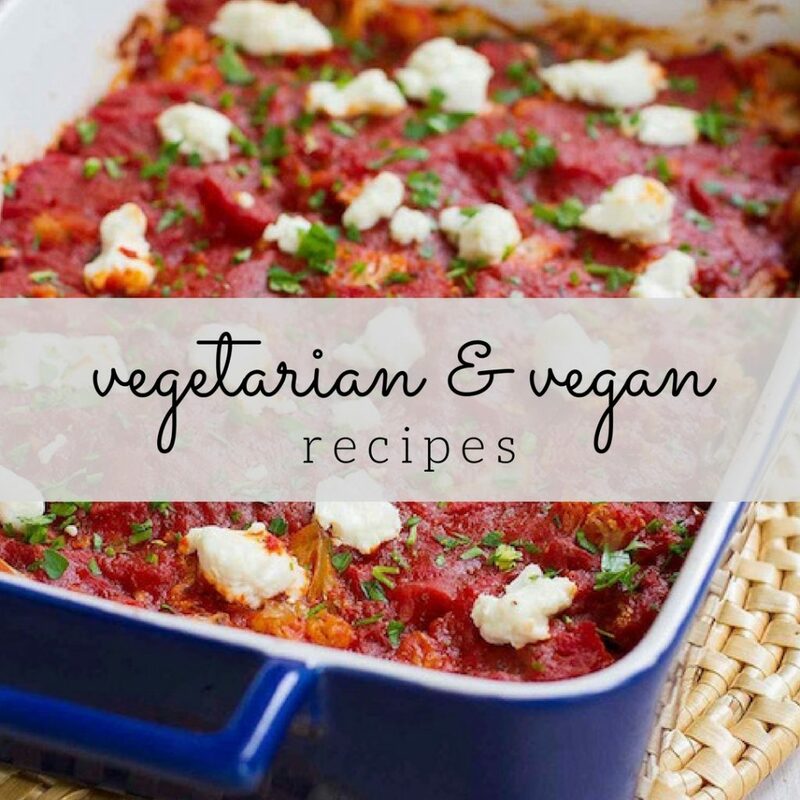 I’m cooking beef Saturday night for the hubby and I might just switch to this recipe!! Those dishes are beautiful! I love that you made this steak lighter yet still delicious and flavorful. Definite must make! Looks like a great date night meal. Dara, this steak looks soooo good!! We’re going out tonight for steak for Valentine’s Day. . celebrating a few days early. . anyway, this is certainly the way to my husband’s heart and love the brandy sauce! and I have a few dishes from QSquared NYC . . love them! 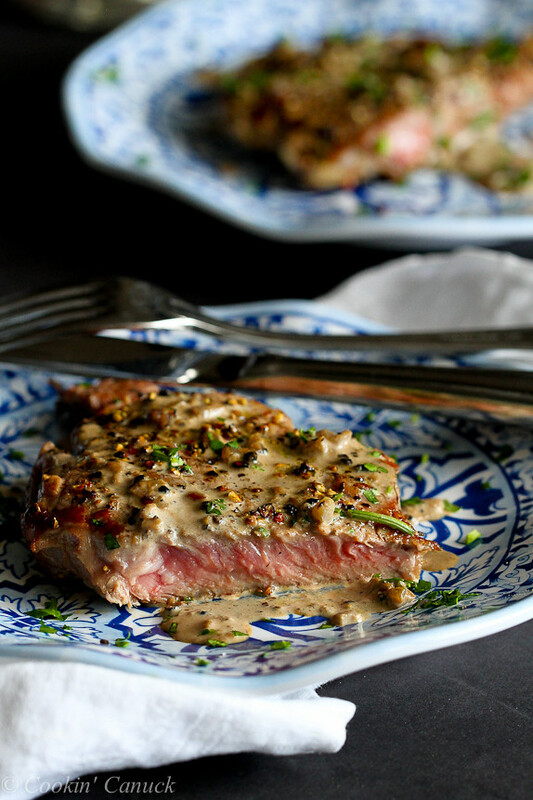 There is nothing I love more than a good steak… and the brandy sauce on this sounds incredible! Sounds like a perfect date-night-in kind of meal! When I read the nutritional information, I was very surprised to see only 6.6 grams of protein for a 4-oz. steak. Is that correct? I can really relate to your story about knowing you loved each other after only a few weeks. My husband and I became friends on a long cruise. Our romance started after we got home and I broke up with my bratty boyfriend (63 years old and bratty don’t go together well…) Once we got together in the same place, it took 4 days of intense talks to get engaged, and we were married two weeks after that. Between when we got home and got together we had a rapidly escalating email correspondence that helped to fuel our fire. We’ve been married for 6-½ years now and are going strong. When you know, you know. Glad to know that you and your husband knew. Ack! You’re absolutely right, Susan. All of the nutritional information was off…I’m not even sure how that happened. It has been adjusted now. Thank you for pointing that out! What a whirlwind romance you had, and it sounds as though it worked out very well for both of you! Staying I love you over steak, it sounds absolutely perfect to me! 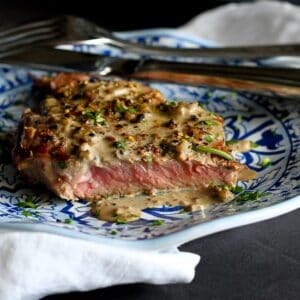 Our steak eating at home is always just with salt and pepper (and when I’m fancy some mushrooms) but you have put me in the mood to change things up with this brandy sauce. Of course those beautiful plates don’t hurt either. This is definitely an I love you steak. Seriously gorgeous Dara. I’m so craving a steak. This looks like the perfect dinner! Oh my! My mouth is watering! Love the peppercorn and with the brandy, that sounds like an incredible sauce. I love a good rib eye every once in a while! I love hearing your love story!!!! I can totally picture the evening!! Love this Dara! Awwwww i love, love, love this story!! So sweet! Isn’t it wonderful how food can connect us to so many of our memories? Lovely dish – your plating is just gorgeous!! This steak and its sauce sounds delicious! 9 in the morning is probably too earlier to be wanting to make this, isn’t it? I love how we can so easily relate food to memories. It’s best way to relive some of the fondest times! This is my perfect meal. Paired with a good bottle of red wine, I’m a happy girl. 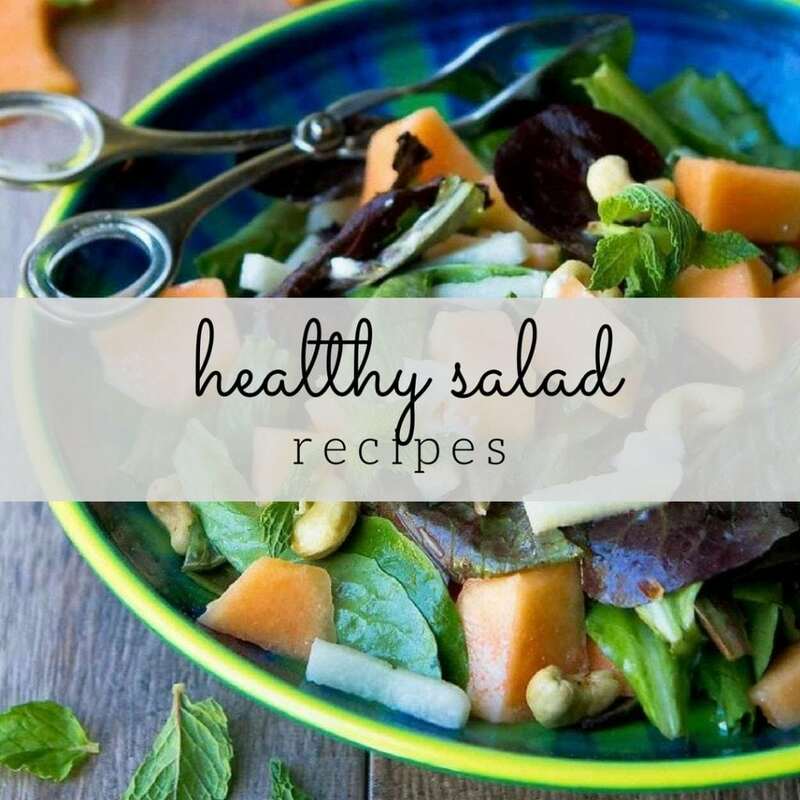 Your recipe looks fantastic. I can’t wait to try it out. Your singed eyebrows/kitchen fire comment made me laugh out loud. Yeah…you only do that once! We don’t eat a ton of red meat, but pepper steak is truly one of my favorites. I can’t wait to surprise my family with this one on the menu. I just want to thank you for linking to my site! 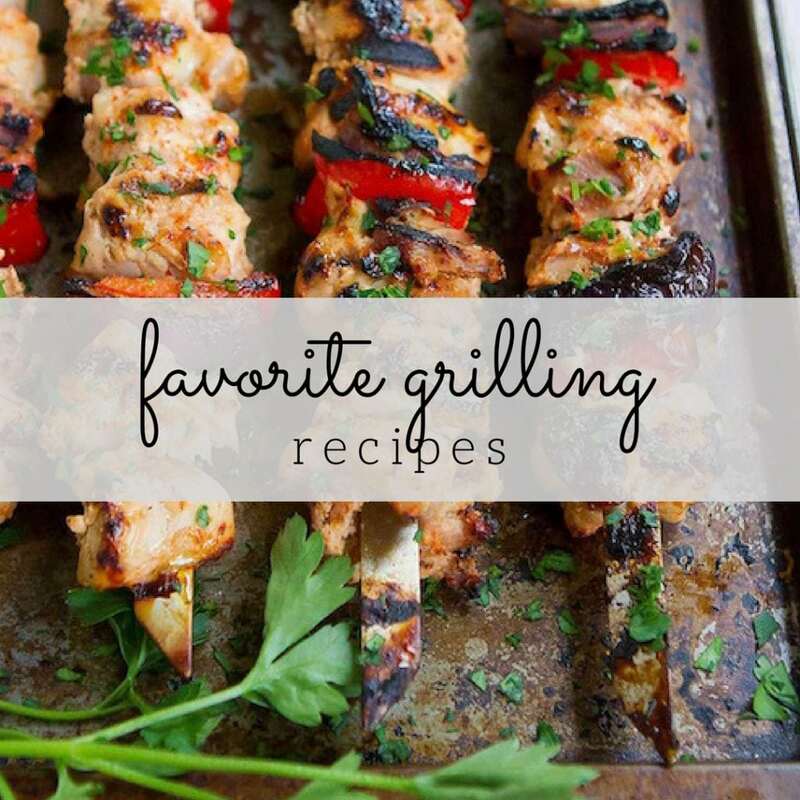 I LOVE steak — pinning your recipe now! Dara, thanks for making my Valentine’s entree decision so easy! When your post arrived in my Inbox yesterday, I immediately decided to make this. The store was out of ribeye, so I used filet mignon. Loved the sauce and especially how fast it all came together!!! Happy Valentine’s Day!!! This looks so delicious. Sounds like the perfect dinner for two. Happy Valentine’s Day! My jaw just fell to the floor!! This is the most romantic slice of meat I have ever seen! These look amazing! Perfect for a romantic dinner! I think it’s all about the crushed peppercorns, brandy…and love. A lovely story and a tasty recipe.